Bring on the fun with M5, or mini ice, Christmas lights! If you are decorating for Halloween, these are sure to add just the right amount of fun. 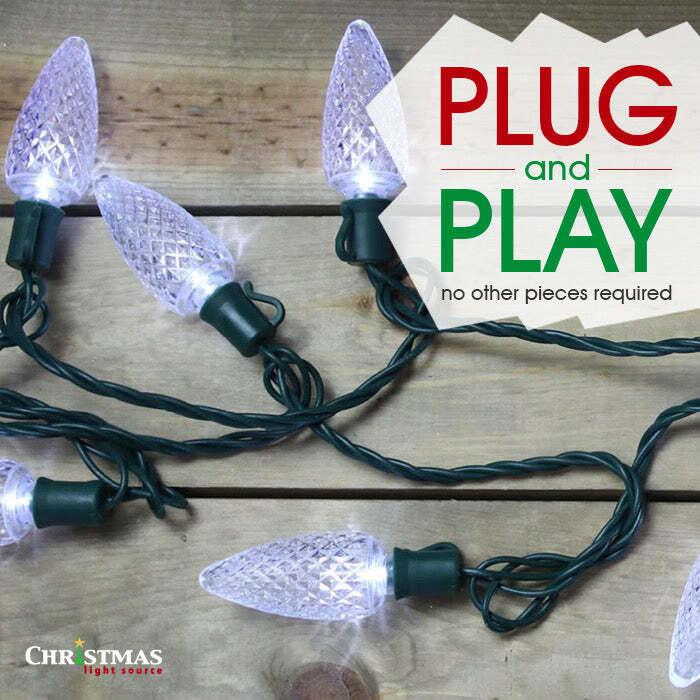 These lights, which are closest in style to traditional mini lights, can be connected up to 43 sets before needing a second extension cord. 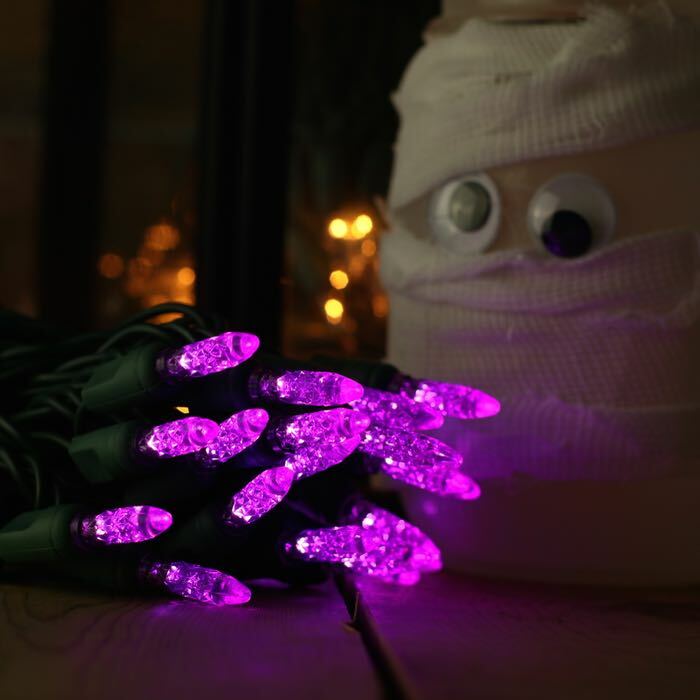 Q: Hi - Do these lights display in a genuine purple color? I bought “purple” lights from another place last year and they light up as more of a pink color. Please let me know. Thanks! A: Purple is so tricky in Christmas lighting. These lights are more "purple" than incandescent, glass Christmas lights but they do throw quite a bit of pink/magenta. Hope this helps. I wish that I could say these were a perfect grape-jelly purple but they are more electric like a red wine with hints of magenta.